WHAT. A. MONTH. Between Iceland, ApollyCon, quitting my job and starting a new one, it's been a whirlwind these last four weeks. To be honest, my mind is still trying to grasp that Iceland is over so everything else just hasn't caught up to me yet. I did do a weeklong staycation in between gigs which gave me a bit of a much-needed detox but.. I do still feel a bit dazed from it all. That said though, these are all very good things! I'm just a worrier by nature (I'm always like this at the start of a new job) and I like my routines so now it's all about settling in, proving myself and finding my groove. Sustained (The Legal Briefs, #2) by Emma Chase - 4 stars; Kelly recommended this to me a while ago and I finally got a chance to read it while in Iceland. I loved the romance and the family aspect of it. Wild Seasons (Books 1-3) by Christina Lauren - avg 4 stars; I wanted to read this series before ApollyCon and omg, can we say new NA obsession? I'll say more about the series overall in another post but friends, read this now. 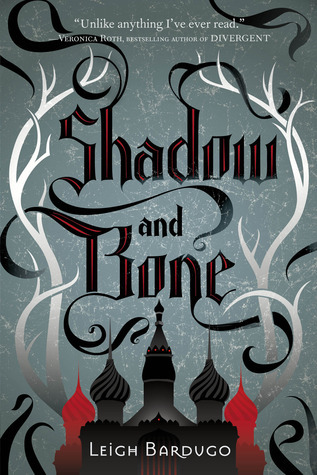 Shadow and Bone (Grisha Verse, #1) by Leigh Bardugo - 5 stars; I was long overdue for a reread and unsurprisingly, it totally held up. It's still an amazing read and I definitely want to continue rereading the rest. Wow! What a month! Good luck with the new job. How exciting! Sustained was my favorite book in that series. I loved the interactions with the kids.